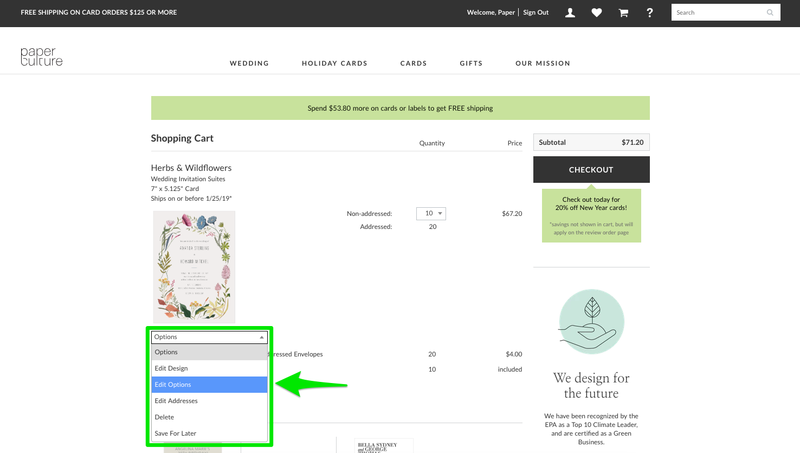 How can I read the items in my shopping cart? 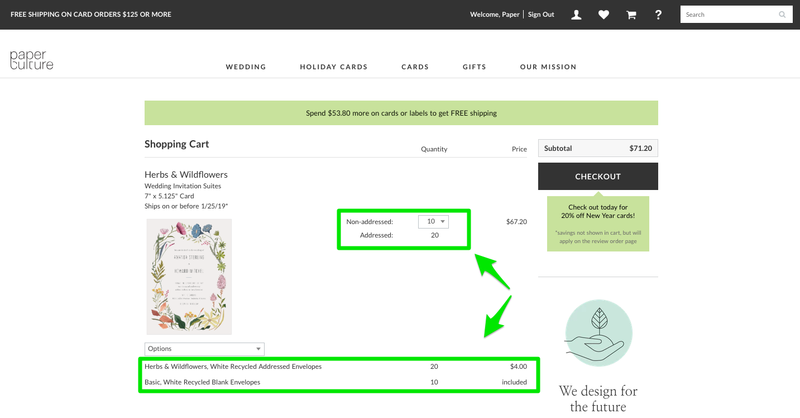 When you order any card that comes with envelopes on our site, we understand that it may be a little confusing regarding the quantities in the Shopping Cart so we hope that these screenshots provide clarification. 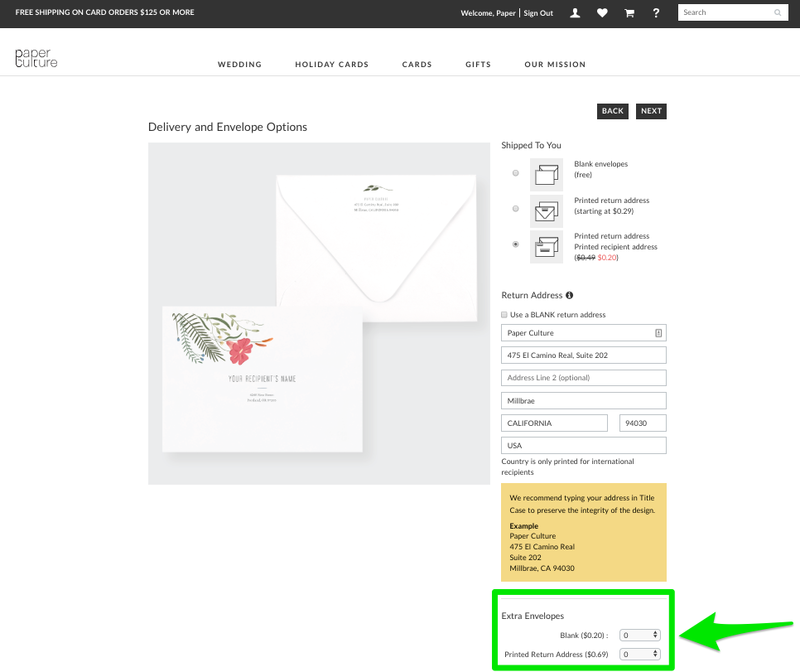 When you select Return and Recipient Addressing in the Delivery and Envelope Options page, you can always order additional non-addressed cards and blank envelopes. Below you have both Non-Addressed and Addressed Cards along with their corresponding envelopes below. For this example, the corresponding addressed envelopes have a Luxe Design and are $0.20 per envelope. If you choose a Basic Design, it would be free. 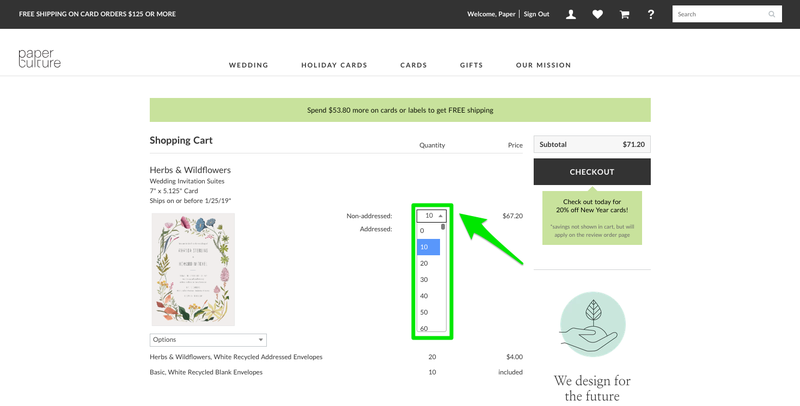 If you want to change the Non-Addressed quantity, you can click on the drop-down quantity menu and adjust your quantity (see sample screenshot below). Please keep in mind that these quantities can only be in quantities of 10, no exceptions. If you want to change the Addressed quantity, you can click on the drop-down Options menu and Click Edit Addresses (see sample screenshot below). 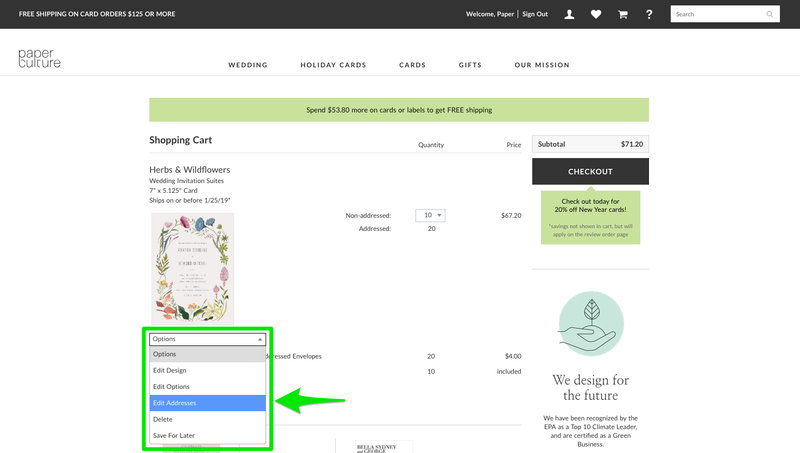 You'll be taken to the Recipients page where you can add or remove recipients for you order. Only one item per order can have return and recipient addressing. We hope that this helps! If you have any further questions, please don't hesitate to email us at contact@paperculture.com or call us toll-free at (877) 772-8588 - Monday through Friday 8am-6pm.